Es ist soweit, ich darf euch heute ganz stolz mein erstes Interview präsentieren! 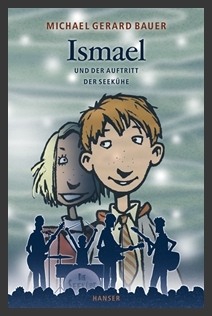 Und zwar habe ich, nachdem ich den dritten Teil der Ismael-Trilogie zuende gelesen hatte, allen Mut zusammengefasst und den großartigen und sympathischen Autor um ein Interview gebeten! Wie erhofft hat er zugesagt und wie erwartet sind die Antworten sehr lesenswert und lustig geworden. Viel Spaß! You’re the author of many great children’s books as “The Running Man“, “Just a Dog“ or the great Ishmael Trilogy. 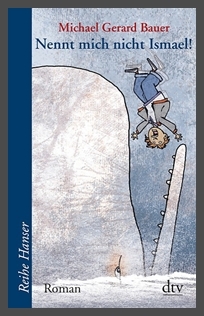 “Don’t Call Me Ishmael!“ was my first of your books and by now I have finished the whole trilogy. Would you please describe the five main characters to future Ishmael readers in one sentence each? Ishmael: He’s shy and sensitive with a good sense of humour, weird friends, a terror of speaking in public and a secret love for Kelly Faulkner. Orazio Zorzotto (Razz/Razza/The Razzman): Orazio is outgoing, over the top, funny, thinks he knows everything about everything (special subject – girls!) and he’s Ishmael’s weirdest but best friend. Ignatius Prindabel: He’s a lover of mathematics, science, facts and figures whose favourite pastime is correcting Orazio. 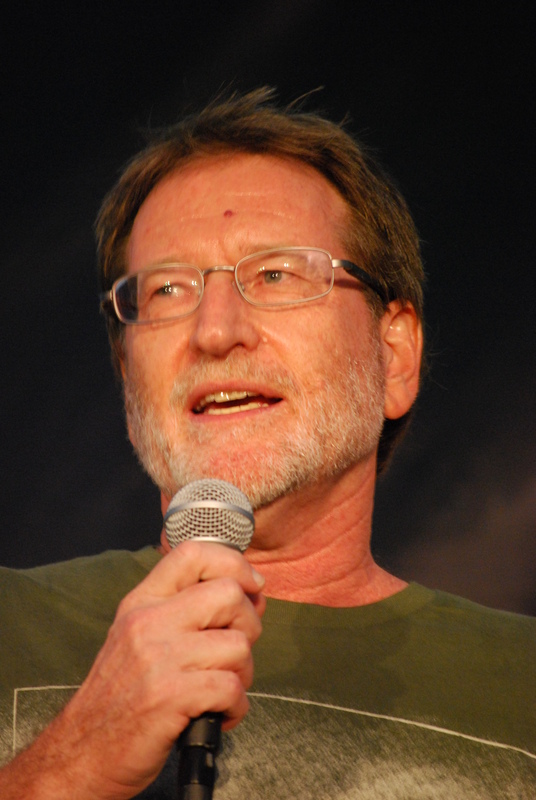 Bill Kingsley: Bill’s a science fiction and fantasy fan whose brain is mostly in a galaxy far, far, away. James Scobie: As well as being super-smart, James is the best speaker St Daniel’s College has ever seen and though small of stature he fears nothing – especially not the class bully Barry Bagsley. Which of them is your favorite and why? MGB: Impossible to pick a favourite because I like them all for different reasons and they have become like real people to me (weird I know!). I guess I relate most to Ishmael because like him I hated speaking in public when I was young. I know a lot of readers would pick Razz as their favourite and I can certainly understand why. The story of the Fantastic Five around Ishmael is finished. Do you miss them? MGB: Absolutely. They became as real to me as any boys I taught in my days as a teacher. When I wrote the final scenes of the last book where the boys are saying goodbye to their favourite teacher Miss Tarango I had tears in my eyes. It was like saying goodbye to good friends who had given me so much joy over the past few years. In the past you worked as a teacher. Imagine you would be part of the Ishmael-Trilogy! What part would that be? How would the boys see you? Are there any parallels between you and some of the teachers you mention in the Ishmael books, as for example Mr. Guthrie or Mr. Barker? MGB: I wouldn’t be as great as Miss Tarango that’s for sure! And I wouldn’t be as scary as Mr Barker – although he does have a warm side to his character. If I actually taught the boys, I hope they would like me. I know I would like them, although Razz would probably try my patience at times! I’d like to think I would be a bit like Mr Guthrie – without the dreadlocks. I think the person I’m share most in common with in the book is Ishmael’s dad. We share the same taste in music and I always wanted to be in a band like him. Strangely enough I finally got my chance in Munich a little while back. Watch this video to the end to see. I heard from many authors that their characters have some kind of independent existence. Has it ever happened to you that the story in your books developed in a way you hadn’t planned at all? I’m thinking of the friendship of Razz and Ishmael: Have you planned it from the start or was Razz with his vehement character pushing his way past Scobie? MGB: Well done. What you suggested is pretty much exactly what happened with Razz. I think when I started writing I saw him as just one of the debating team but his personality was so big and he had most of the best lines so he just took over. I really like his character, not just because he’s funny, but because he has a huge heart and is so full of life and energy and optimism. He and Ishmael’s friendship really is what the whole trilogy is about for me. I think it’s a beautiful thing. You always praise the good work of your German publishers. How does this cooperation look like? For example does the German translator Ute Mihr contact you with questions or suggestions? MGB: Yes I do, because every time I praise them, they have to send me money! No, just kidding. I have had the pleasure of meeting Ute Mihr. She is wonderful and the success of the Ishmael trilogy in German is due in a large part to her brilliant translation. I really don’t know how she does it. A lot of people don’t realize what a difficult job it is to translate comedy, particular when a great deal of the humour is based on the English language. Often times the translator has to come up with their own jokes that will work in their language. From time to time Ute has contacted me about various words and expressions, mainly when even the Australian Slang Dictionary couldn’t help her! Who is your favorite author of children’s books – apart from yourself of course? Which book would you like to see nominated for a children’s book award? MGB: Apart from myself?!? You really like asking hard questions don’t you! Seriously though, there are so many Children’s and Young Adult authors I love. Most of what I read for my own enjoyment is Young Adult Novels. I hate picking favourites but probably my favourite Australian author would be Marcus Zusak (The Messenger; The Book Thief). It was his books that inspired me to try to write in the first place. 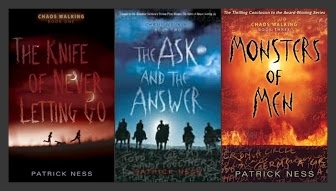 As for the second question, it has probably been nominated and won awards already but Patrick Ness’s Chaos Walking Trilogy would deserve every award it received. Are there any plans of visiting Germany in the near future? MGB: I would love to return to Germany. Someone invite me! Anyone! Sadly I have no definite plans at present, but my bags will be packed in record time if I get the opportunity in the future. And what is the question you always wished to be asked? Solltet ihr mehr von Michael Gerard Bauer lesen wollen, kauft seine Bücher, sie lohnen sich definitiv!!! Außerdem hat er auch einen sehr lesenswerten BLOG! Mich interessiert das Interview in deutsch sehr, könntest Du es mir senden? Lieben Dank im voraus. mittlerweile habe ich es leider nicht mehr auf deutsch. Das tut mir sehr leid. Yeah, ein weiterer Ismael-Fan! 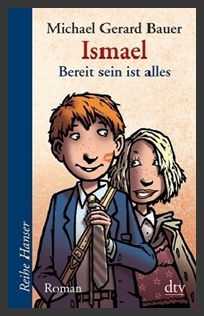 Das freut mich.
Freust du dich auch schon so auf sein neues Buch?